Northsound are constantly moving forward in-line and exceeding industry standards and our commitment to health and safety has helped us maintain consistent productivity and quality work that supports our reputation. We believe that producing a risk assessment, method statement and conducting a tool box talk is a minimum procedure for every job we carry out. Our aim is to provide a working environment for our employees that is free from accident or injury. Our health and safety policy is updated regularly in response to changes within the company. Our team of experienced engineer’s skills and roles include: Coded Welders, Responsible Welding Coordinators, CSCS, CCNSG, IPAF and confined space qualifications. They understand the importance of health and safety in the workplace and place it at the forefront of any project. As part of our continual investment in our team we have an ongoing training programme that ensures all staff are regularly developing and updating their skills. 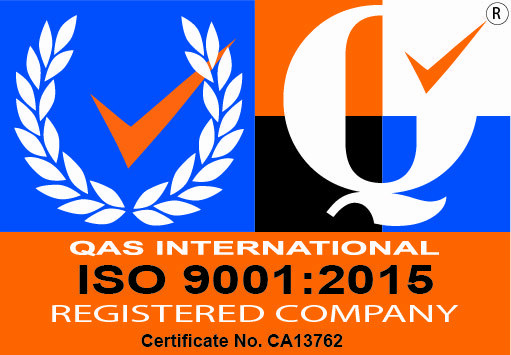 Northsound has been registered under ISO 9001 since 2011 and we base great emphasis on our quality throughout all our departments, Click here to view our ISO 9001 certificate. Our Quality Assurance Manual is updated yearly and is available upon request. As part of our ISO 9001 all our work is tested when necessary and signed off after an inspection. Many of our customers require Quality and Maintenance Manuals for their manufactured products, we produce detailed packs which include Certificates of Conformity, Declarations of Performance, Test Certificates, Mill reports, Job Packs, Welding Procedures and qualifications and Equipment Calibration Certificates etc. As of October 2014 Northsound Ltd were certified to BS EN1090 Execution Level 2. From 1st July 2014 the Construction Products Regulation has made it a legal requirement that all fabricated structural steel components and fabrications must be CE Marked, this covers a wide variety of products. Northsound are now manufacturing in accordance with the requirements and have been issued with a CE Certificate of Conformity which allows us to apply the CE Mark on our products. As of October 2015 we are now able to provide design work on behalf of our clients as we are now accredited to design Method 3b. Click here to view our Certificate of Factory Production Control and Welding Certificate.